A few years after high school, I decided to reread all of the classics that I hated in high school. I figured I would like them if I was reading them for their stories, rather than searching for symbolism and foreshadowing. I was right, and I now have much more positive thoughts in regard to Tess of the D’Urbervilles, The Scarlet Letter and, of course, Pride and Prejudice. 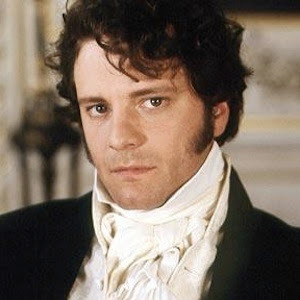 I must admit, envisioning Colin Firth as Mr. Darcy in Pride and Prejudice did make the book a bit more palatable (see video below), even in high school. But when I reread it, I loved it. And then I reread it again, and I loved it even more. It also turned me into a big Colin Firth fan, who I now equate with all things P&P and as a shining example of all things British. I should point out that it also thrills me that he played the Mr. Darcy-ish character in Bridget Jones’ Diary, which just adds to his metamorphosis into being a real-life Mr. Darcy. But, I digress. The point is, I love Pride and Prejudice. And that is why I’m excited to be alive for the 200th anniversary of it’s publication. In honor of this momentous occasion, I have compiled a hodgepodge list of P&P related links for you, but I should point out that they are not in any particular order. Click the photos for more information about them! Enjoy! The Atlantic has compiled all of the book covers used over the years for a great display of gorgeous artwork!